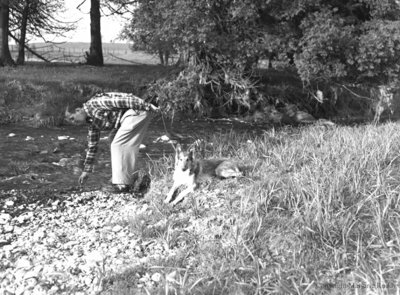 A black and white large format negative of Nick Thorah bending over at a stream with his dog lying down behind him. Nick Thorah and dog, May 23, 1950, Marjorie Ruddy. Whitby Archives A2013_040_306.